The Bike MS Rock’n Hot Ride is next weekend and I’m definitely ready! Not only have I hit my fundraising goal thanks to my friends and family, I also rode 100 miles in one day this past Saturday. It was a very tough ride. The heat index over the last few weeks has been reasonable but that all ended in time for my ride this weekend. Saturday’s overwhelming heat and humidity forced me to break the ride into two parts – I stopped at 86 miles of my 100 mile route out to Ink’s Lake State Park when I realized I was battling heat exhaustion, no longer able to eat or drink. My support team (AKA Carl) picked me up and drove me to our appointed meeting spot for swimming and relaxation with our friends. After we made it back to Austin that evening, I rode another 15 miles so that I could officially ride 100 miles in one day. Maybe later this year after the heat calms down I’ll try another 100 mile ride. Next weekend’s Rock’n Hot ride will be 70 miles with almost 4,000 feet of elevation gain on each Saturday and Sunday . I’d be honored if you would consider making a donation in support of my ride, and in memory of my godmother Barb who passed away in December from progressive Multiple Sclerosis. In my failed attempt to beat the heat on Saturday, I left our house at 6:30 am, about 45 minutes before sunrise. The sunrise wasn’t particularly exciting, some dreary clouds muted the colors. I saw two different water towers, far apart from one another, labeled Jonah. Must be a brand of water tower? It’s hard to see, but I saw the banana bike again! Look closely behind the street sign, there’s a normal cyclist and then a yellow oblong shape close to the ground, that’s the banana bike. I’ve seen him on a number of different roads and organized rides. 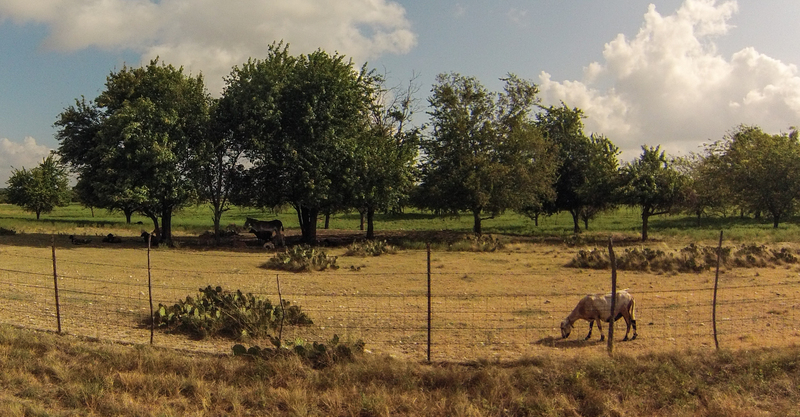 This was just after I passed through Weir. 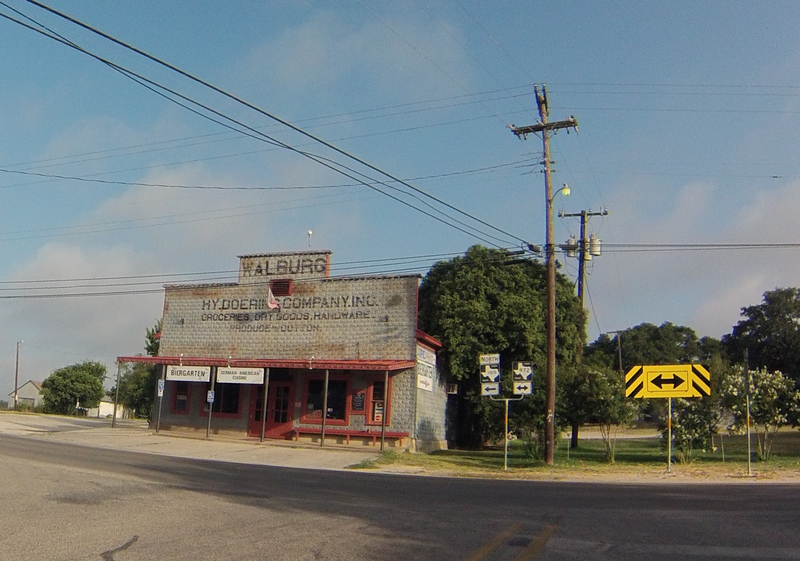 Just north of Weir is Walburg, where the main attraction as far as I can tell is the Walburg Biergarten. They take reservations! 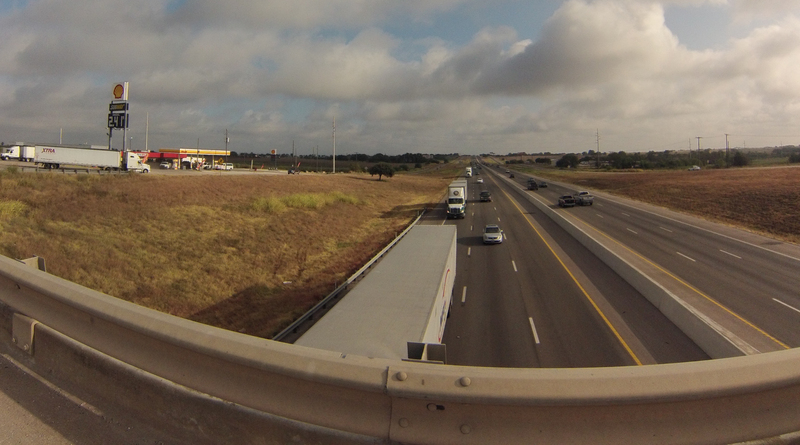 Around mile 40 I turned west and crossed over I35 and rode on the new section of the Ronald Reagan Blvd. 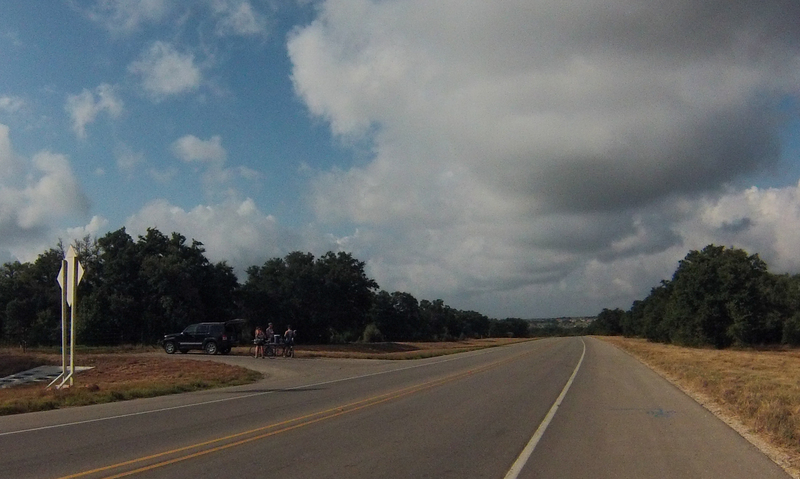 The road has a nice shoulder and many cyclists were out taking advantage of the smooth riding. 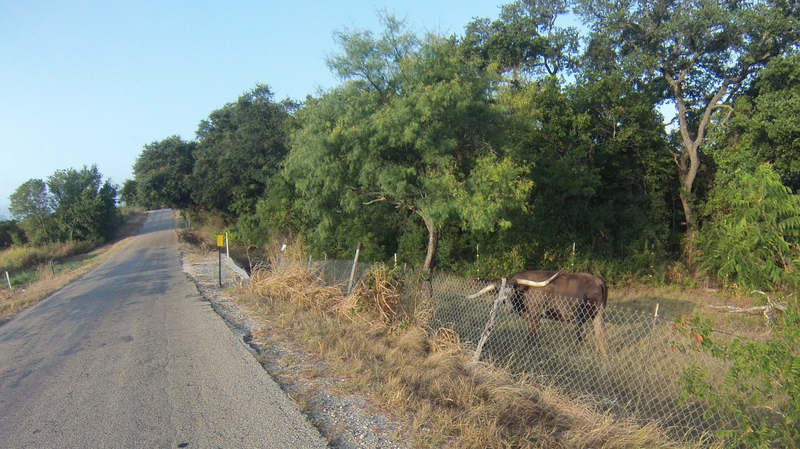 Eventually I crossed 2338 which goes to Georgetown, the previous end of this road. Bertram was having some sort of festival and there were a bunch of people waiting for the steam train. You can also see a nice new library building to the right of the train station. 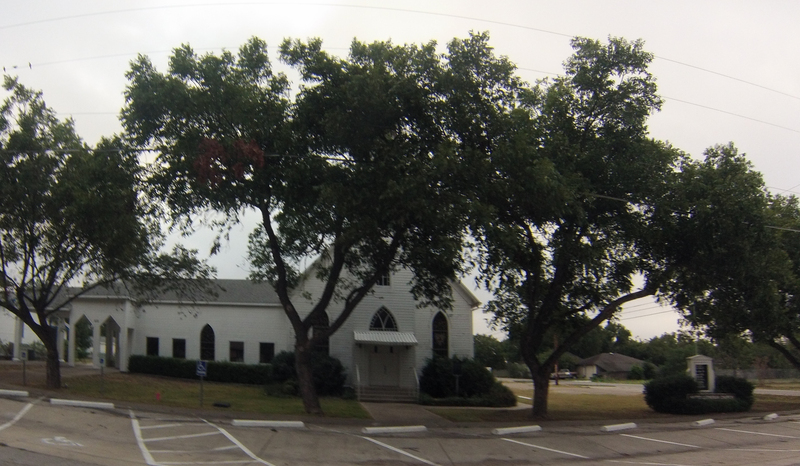 I had my final water / rest stop in Bertram where Carl called to tell me that the road I planned to ride was a gated, private road (thanks Google!). Heat exhaustion symptoms had kicked in at mile 68, so I was beginning to doubt my ability to make it to 100 miles. I began to not be able to consume food or drink and was just dumping my water bottle over my head to try to stay cool. Next, I was beginning to feel ill so rather than press my luck I called Carl who was not very far away by car and he picked me up at mile 86. From there we drove to Ink’s Lake to meet friends. It turns out the road I planned to ride into the park on had some extremely nasty hills so I was grateful to be in the air conditioned car. We had a nice time floating in the water, swimming with our dog Molly, and then stopping at Save the World Brewing in Marble Falls. 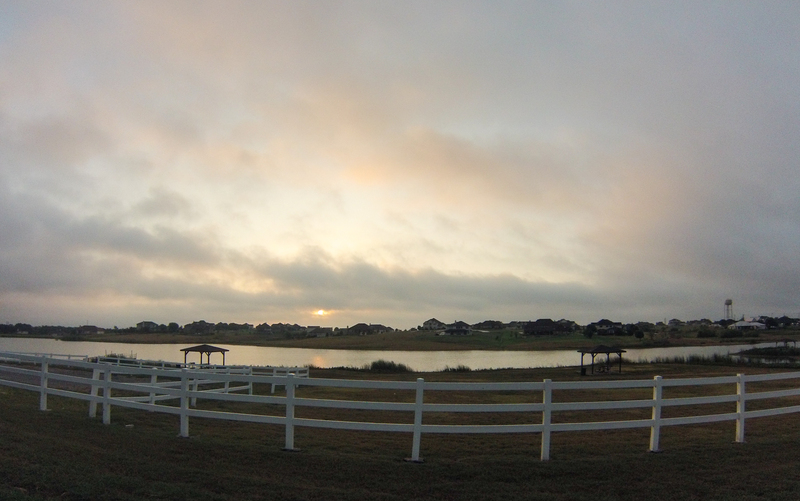 After making it back to Austin and letting the sun go down a bit, I rode around our neighborhood for the final 15 miles. ← Bike MS Training: August 29 & 30 – Almost time for Bike MS Rock’n Hot!